Shahram Nazeri (Born in Kermanshah, 1950) is a contemporary Iranian Kurdish tenor who sings classical Persian and Kurdish music. 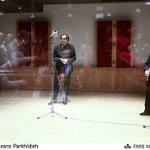 He is one of Iran's most respected vocalists. 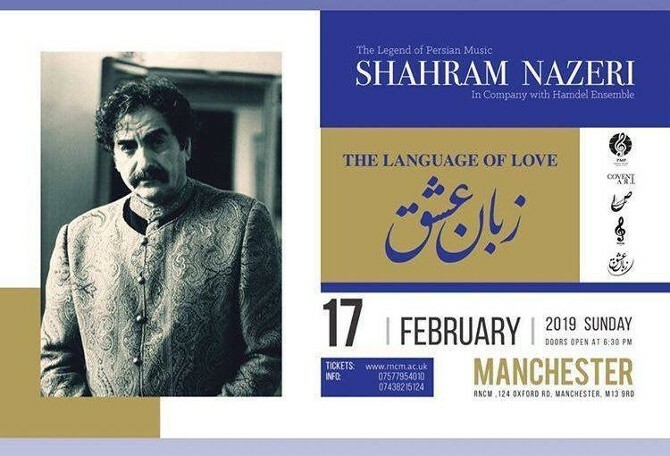 Shahram Nazeri is a prominent icon of Persian classical, Kurdish folklore and sufi music. 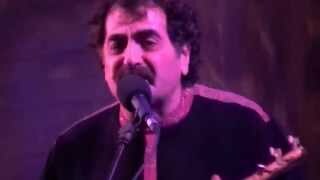 Born in a Kurdish musical family, He was the first vocalist to set Rumi's poetry to Persian music thirty-five years ago, thus establishing a tradition of Sufi music within both Persian classical music and Kurdish music and his music was instrumental in introducing Western musical audiences to both Sufism and to the poetry of Rumi. The New York Times has dubbed him the "Persian Nightingale" and the Christian Science Monitor has called him "Iran's Pavarotti". 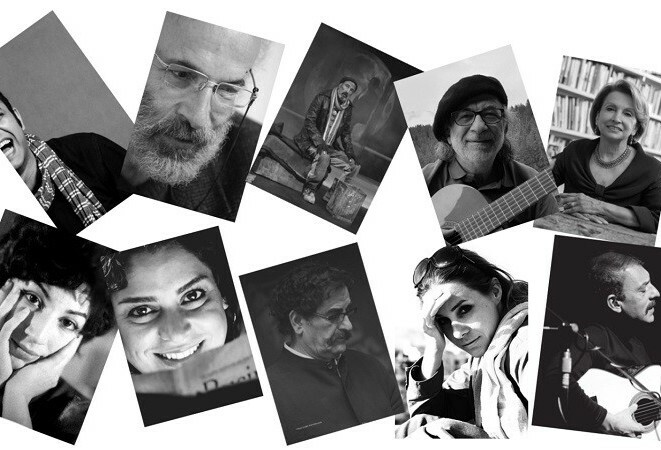 Master Nazeri has released over forty recordings to date. His "Gol'eh Sad Barg," recording has held the record for the highest selling album of Persian classical music and Sufi music in the history. His musical talents were first nurtured by his mother at a very young age. 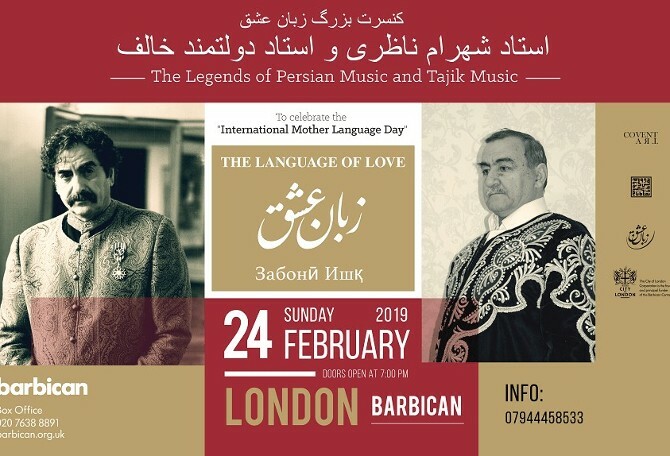 Throughout his childhood, he was under the tutelage of the most renowned masters of Persian music including Abdollah Davami, Nourali Boroumand, and Mahmood Karimi. At eleven, he performed on television for the first time. By twenty-nine, he had gained a loyal fan base. 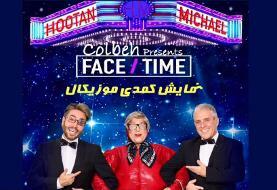 He has continued to perform in Iran and abroad over the course of the last two decades. 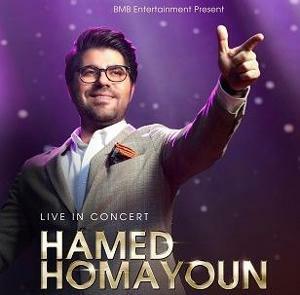 He has performed at major venues worldwide, including The Festival of Aix-en-Provence, The festival of Avignon, The?tre de la Ville in Paris, The Tokyo Summer festival, The Kodak Theatre (Oscar ceremony) in Los Angeles, the Royal Albert Hall, the Festa del Popolo in Italy, The Beiteddine Festival in Lebanon, the K?lner Philharmonie in Germany, Asia Society, World Music Institute and Brooklyn Academy of Music BAM in New York, the Roma Europa Festival in Rome, Sao Paolo Music Festival in Brazil and Fes Festival of World Sacred Music in Morocco and many others. From early on, Master Nazeri began to sing and compose music to the works of Mawlana Jalal ad-Din Rumi, Iran's most cherished Sufi poet. Nazeri was also pioneering in assimilating contemporary Persian poetry into the classical repertoire. 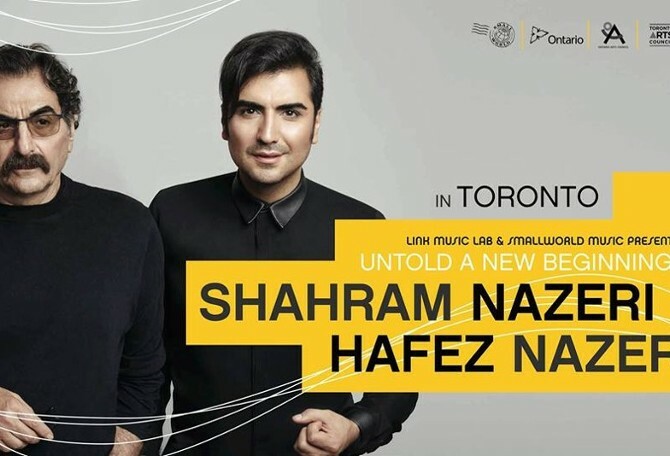 His progressive approach to music has led to collaborative new projects with his son, Composer and singer Hafez Nazeri. 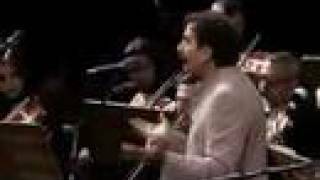 In year 2000 they performed Hafez's new composition in Iran which has hold the record for the most highly attended concert 140.000 in entire Middle East. In year 05/06 Master Nazeri along with his son's new Rumi ensemble launched "In the Path of Rumi," a highly successful North American tour which performed record-breaking sold-out concerts, to rave reviews. 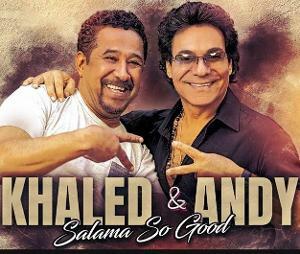 The venues included Los Angeles' Kodak theater (12/11/05), - the most highly attended Persian classical music concert outside of Iran. His international appeal led to several invitations to speak at various media outlets, including radio stations such as NPR in the United States, BBC, a live appearance on the Fox Channel (3/10/06), and an exclusive on ABC NEWS, following a recent New York performance. Master Nazeri's performances have garnered critical acclaim worldwide and won him awards at music festivals around the world. In 1975, he won First Prize at the Concours de Musique Traditionelle, the first competition to showcase Iran's great performers. 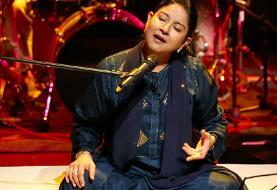 More recently, the Ministry of Culture in Iran named him the Best Singer of Classical Persian and Sufi Music. 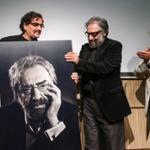 UCLA has honored Shahram Nazeri with the Living Legend Award. 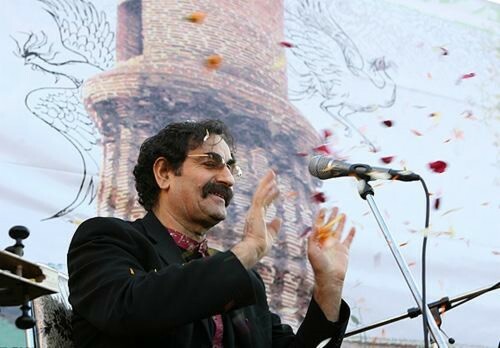 The United Nations has honored Nazeri with a recognition award for his legendary contribution to the revival of Kurdish and Iranian Classical Music. The Irvine City Hall Award of Distinction in Persian music was given to Shahram Nazeri for his contributions in spreading Rumi's spiritual message of peace through the language of music. 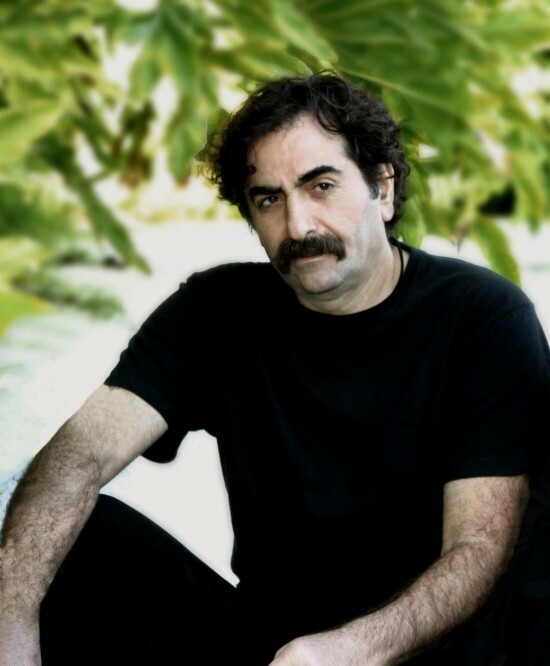 February 25, 2006 was named "SHAHRAM NAZERI DAY" in San Diego County by the Mayor and the Chairman of San Diego's Board of Supervisors. 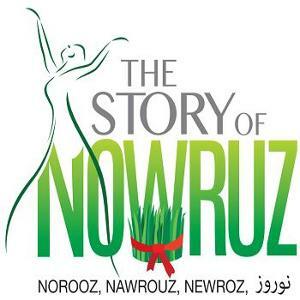 Soon after this date Shahram Nazeri also received a recognition award from the Congress of the United States and was invited to perform and lecture at Stanford University, Columbia University, University of California Berkeley, University of California Los Angeles UCLA, Emory University in Atlanta an Harvard University, where he was recognized for his pioneering efforts in introducing Rumi to the West as well as for his innovations in Persian music. He specializes in the rich tradition of Sufi music, which turns to song the mystical poetry of Rumi, Hafiz, Attar, and others. 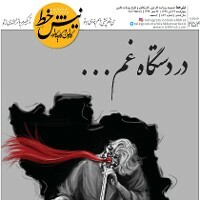 Nazeri is known particularly for several decades of works on Rumi poetry. 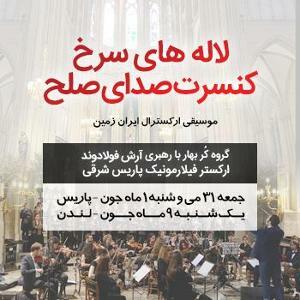 He is also working on symphonies made on Firdowsi's masterpieces.Nazeri is Called "the Iranian nightingale" and usually holds deeply soulful performances. He is also referred to as "the Pavarotti of Iran". On September 28, 2007 he was presented France’s Chevalier des Arts et Lettres medal for his lifetime achievements in Persian Classical music.